Camera is hard to get working "right"
An Obsidian Entertainment Real-Time-RPG with a detailed Dungeons & Dragons 3.5 ruleset, a strong storyline and a great mod toolset. 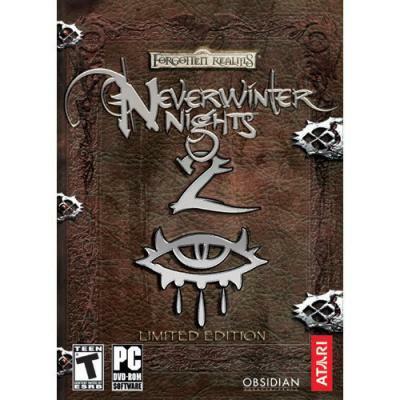 Neverwinter Nights, developed by Bioware, was a smash hit RPG on the PC in 2002, spawning two full blown expansion packs, several official downloadable expansion packs, and a gajillion fan-created modules. 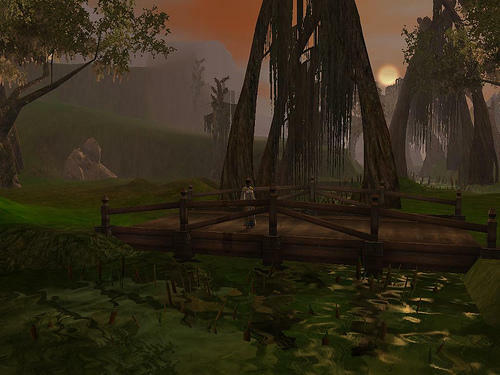 NWN's big selling point was that it was not just a game, it was also a tool-kit that allowed players to make their own games and play and share them with others online. 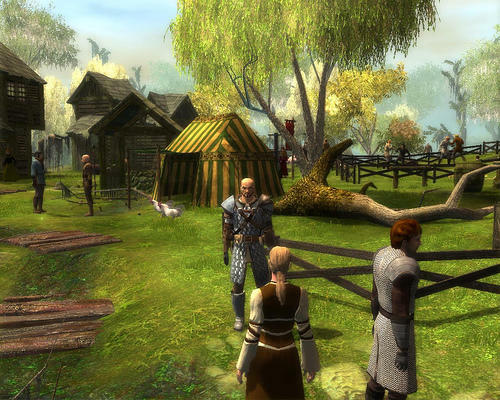 It had a well built multiplayer aspect that drew millions of fans: the first NWN still has a very strong online community today. 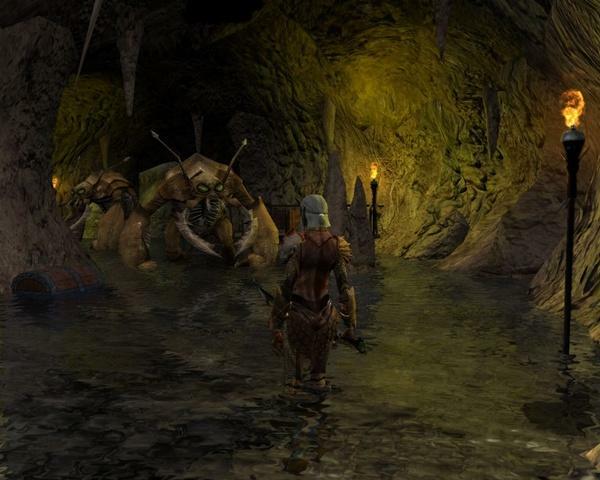 If NWN had a crucial flaw, it was that the single-player campaign that came with the original game was often considered inferior to Bioware's previous works, such as the classic Baldur's Gate II. 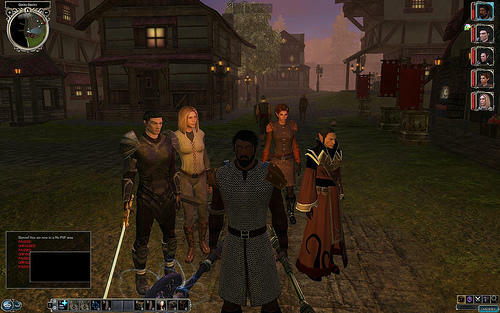 Neverwinter Nights 2, released in 2006, continues in the tradition of the first game, offering an expanded and more fully-featured tool-kit as well as a very strong single-player story. Writer and designer Chris Avellone, who was the guy behind the best RPG ever created (Planescape: Torment) has taken his Obsidian Entertainment team and crafted a fantastic story with lots of great subplots as well as meaningful choices that impact the story. Obisidan also developed Star Wars: Knights of the Old Republic 2, and many of them were from the old Interplay studio Black Isle, which developed Planescape: Torment and the Fallout series. Neverwinter Nights 2 has a somewhat steep learning curve for those unfamiliar with the Dungeons & Dragons 3.5 edition rules. If you are familiar with the rules however, the game will feel natural once you get accustomed to the game's interface. The interface can seem daunting at first, but it's fairly easy to master in about 45 minutes or so. The first troubles in the game were getting the camera working right. I don't remember having as much trouble with the NWN1 camera, but I could just be remembering wrong. Eventually I found a setting for the various options on camera mode that worked for me. It is fortunate that the camera has a lot of different styles available for different types of gamers. The style that worked best for me most of the time was the "chase" mode. 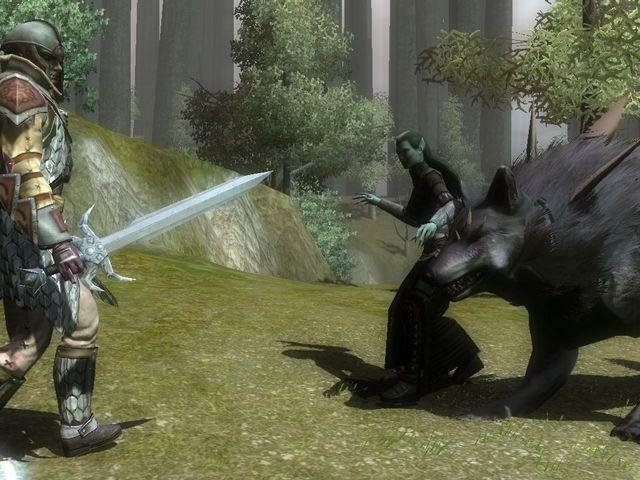 As for the combat, NWN 2 is a third-person perspective, party based, real-time combat RPG. You can pause combat at any time to give your party members orders, and every action takes a specific amount of time to execute. It much more like a turn-based RPG than an action-RPG such as Elder Scrolls IV: Oblivion. It is somewhat combat-centric, but there are a lot of quests and story to flesh out exactly why you're fighting. There is quite a bit of dialog and several puzzles to solve. 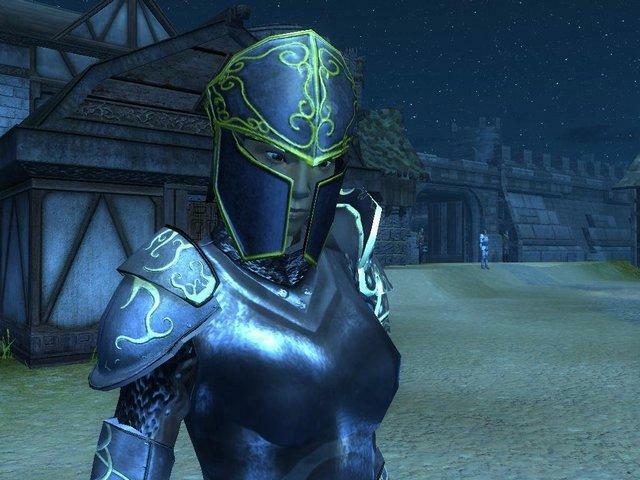 NWN2 offers a lot of different character options you can take, from 16 different races (including sub-races), 12 different starting classes, and 17 advanced "prestige" classes you can move into after advancing in a starting class(es). The game supports the 3.5 rules for multi-classing as well. There is also a fairly complex "crafting" mini-game, where you can make custom items from ones you find in-game. NWN2 has a robust online mode, comparable to the one with NWN1. The toolkit is also fully featured and there are already quite a bit of fan-made modules out for it now. IGN hosts the NWN Vault, which has quite a few modules available for download. Obsidian has also just recently announced the first expansion pack for NWN2, to be called Mask of the Betrayer. All of this makes for some major replay value, and almost all of that "replay" is actually new content. If you like NWN2, you'll have a lot of hours to spend with it - pretty much limitless. NWN2 is not without its issues. The camera issue I mentioned earlier, but there were also some problems with the game's AI doing stupid things to get me killed. I ended up "babysitting" my helpers a bit more than I would have liked. The game does have multiple AI settings, which helped, but the default behavior is usually not good. Also, there are a few places where the combat becomes repetitive and boring, which happens in most other RPGs. The slightly-dated graphics are a bit of a downer, but they do look pretty good, and graphics is really not that important to me, personally. The graphics are not as impressive as say Oblivion's, but they are still a good step above the graphics of NWN1. A bigger issue to me was was that the game tended to be a resource hog. I recommend throwing as much memory at it as you can, and be sure you have a decent video card no older than two years. 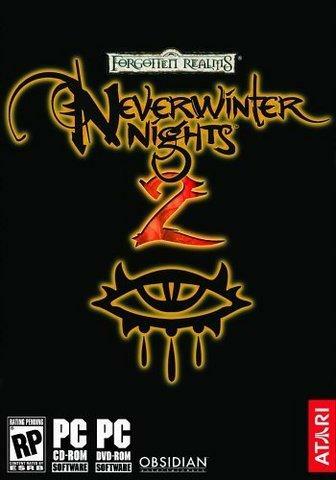 Overall, I really enjoyed Neverwinter Nights 2, but it is not something I can easily recommend to all gamers. If you liked the first Neverwinter Nights, you will probably love this. If you hated the first one, this one may still hold appeal, because it has a better story. 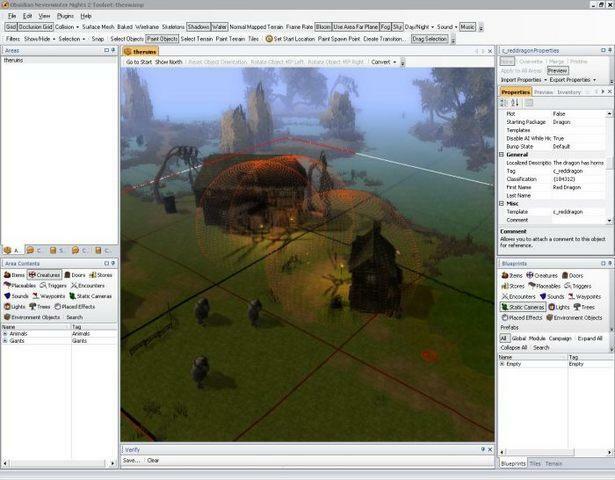 But it may not, since it has a similar interface as the first and an upgraded game engine from the first one. The implementation of the D&D 3.5 rules was great, but they are complex for a first-time player. If you have the time to dedicate to a detailed RPG, and your computer's specs are up to task, Neverwinter Nights 2 is a great game for you.